Please read the answers to these Frequently Asked Questions for more information about Social Security disability law. If you have additional questions that are not addressed here, you may ask them by Leaving a Comment below, and we will try to answer them as we are able. Any answers are for informational purposes only; they do not constitute legal advice and do not establish an attorney-client relationship. What fees will my lawyer charge and how will my lawyer be paid? What are the deadlines and wait times for applying for benefits and appealing a denial? How can I get low-cost health care while I wait for a decision on my Social Security disability benefits? 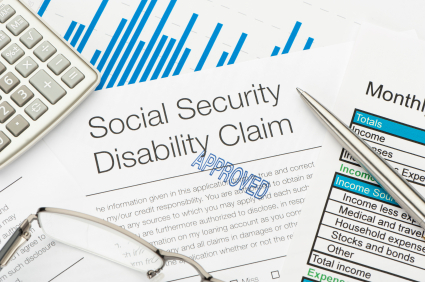 What is the definition of “disability” for the purposes of Social Security disability benefits? 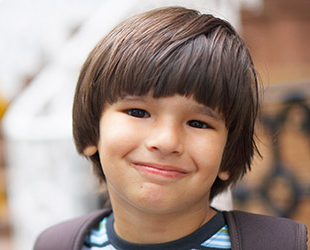 What are the steps in the disability evaluation process? 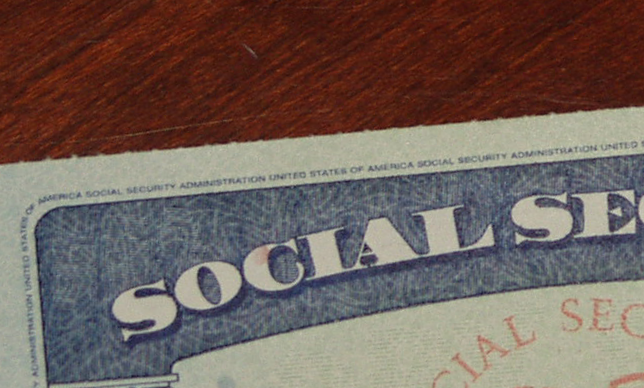 Can I receive Social Security retirement and disability benefits at the same time? Can I receive unemployment benefits while applying for or receiving Social Security disability benefits? What are the hours and location of my local Tampa Social Security office? 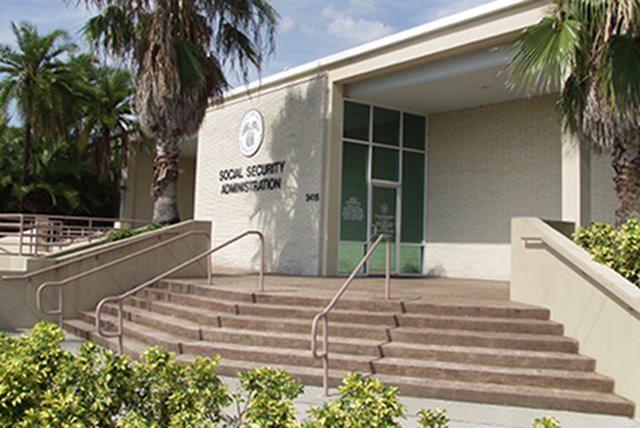 Where is the Tampa Social Security disability hearing office located? I have been disapproved on my initial application for SS disability. I retired from my previous employer over 3 years ago and due to health issues have not been employed since that time. I receive a small retirement pension. I paid into social security at the company from which I retired. I plan to mail in paperwork asking for reconsideration within the 60 day deadline. I have not obtained any paperwork from my doctors or submitted any medical info or medical contact info yet with my application, which means they will likely disapprove it again on reconsideration. Will lack of submitting this info result in moving me to the next step of the disapproval process? I am in the process of selecting an attorney to handle the paperwork as it seems very overwhelming per online forums and I do not feel I will be successful without an attorney. I will be turning 62 soon and I want to apply for early SS retirement in the meantime as sounds as if this process may take some time. How do I go about applying for SS early retirement benefits since my SS disability application is already in the works? I do recommend that you consider hiring an attorney in your area. (If you are in the Tampa Bay area, feel free to call me.) You should definitely appeal within the 60 day deadline in any case, and yes, medical records are essential to winning your case. If you are denied again at the Request for Reconsideration stage, then you can appeal again by Requesting a Hearing before an Administrative Law Judge. There is a long wait for a hearing, but this will give you and your attorney time to submit all the required evidence and strengthen the case. You are much more likely to win at hearing if you are represented by an attorney. As for Social Security retirement benefits, you can apply online or by calling 1-800-772-1213. Many people collect early retirement benefits while a disability application is pending. If you are later found disabled, then you will receive your full benefit rather than the reduced benefit for retiring early. Thank you so much for the information and prompt response. Your information online is always informative and helpful. After the decision has been sent to a writer, how long after that is it sent in the mail? And is there a way to find out the judges decision before the papers come in the mail? Unfortunately, there is no set time for the process between a hearing before an administrative law judge and getting the judge’s decision in the mail. It depends on the judge and the procedures at your local hearing office. As for finding out the decision before it arrives in the mail, if you are represented by an attorney, your attorney would have access to Social Security’s electronic records and so would be able to read the decision online once it’s written. Other than that, if you call the hearing office and ask, they might tell you whether it is favorable or not. The cost-of-living increase for 2017 will not be announced until October 18, 2016. It is estimated that there may be a small increase, but we won’t know for sure until then. Update: it will be 0.3 percent. 1. SSA guidelines state she can own a car but since she cannot drive that does not seem practical. I could probably be listed as a co-owner to secure insurance to be her driver for her use only. But I don’t know if there is a better option. Can we be reimbursed for mileage to offset the cost of transportation for her? 2. Since she is living in our home under our care, what is the best approach her determine her share of the shelter, food, and utilities. Can we simply divide total cost by the number of occupants (3 in this case)? I understand as representative payee I cannot (and I would not want to) be paid a fee. What is the best means to account for the funds used for her living and transportation needs? You may want to read this Social Security pdf document for representative payees as well as this FAQ page. 1. Transportation is a valid expense, so you could calculate the actual per-mile cost of operating your vehicle and reimburse yourself, keeping careful records. 2. For housing and food expenses, yes, you can charge her up to her pro rata share, which is as you say: the total amount of expenses divided by the number of people in the household. I am receiving retirement from the state of Texas. I am also receiving disability retirement benefits. Does the statee pension count against the amount I receive for disability–do you have a phone number i can call to get this clarified? Other public benefits, including from a state program, may affect your Social Security benefits. There is more information in this Social Security document or you may call Social Security at 1-800-772-1213.
hello mr.conley,garry from ky,i found out today that my claim has been approved,the descion was made in june,my onset date was 12-20-2015,i had taken early retirement in oct 2014,had i waited till full retirement i would have recieved 1400.00 a month,,will this be the amount i will recieve now that i have beem approved? i know that i will be penalized for early retirment,can you tell me how they figure that and how much,i filed my claim by phone on 10-6-2016,,thanks,p.s.I believe that getting all my medial records that i could still find and sending them to the case worker,really sped things up,also you may want to remind everyone,that most states do not require drs to keep records for more than 5 yrs,i lost 20 yrs of records, thanks for all the information nad your help,this is the best site i found for very helpful information.have a great day,good luck to everyone fighting for disibility. Congratulations, so glad to hear it. What should happen is that from now until your full retirement age, you should get your full disability amount, which is close to, but probably not exactly the same as your full retirement amount. (You can find out the amount by calling Social Security or creating or logging into a My Social Security account.) Then upon reaching full retirement age, your benefit will be reduced somewhat, based on the months you received early retirement benefits, before your disability began. It will be reduced according to this schedule, 5/9 of one percent per month of early retirement. hello mr conley i heard from ss,they said i would recieve 1,078.00 untill 66,then they will deduct for early retirement for 12 months,and deduct 134.00 for part b medicare starting in oct 2017 at 65,i i have nor recieved an award letter yet,i will get less after 66 than i do now 903.00mth do you know how to apply for the disibilty freeze ?do you know about this,i had at least10 yrs of no income from the age of 18,several less than 1000.00 dollars a yr.,do i quailify for the freeze.they could not tell me my onset date ,i get something differant every time i talk to them i tryed calling the number that they called from on tuesday in was no longer in service.>may have made a mistake ,how much of a deduction will that be at 66?thanks. hello again mr.conley ,i recieved my letter,i was found disabled on june 2016,i applied on dec2015 5 mths before you can be disabled,my question is,if i had known in oct 2014 that i could have filed for disability at the same time i applied for early social security benifits i would have ,the condition i was approved for i had then ,if i ask for reconsideration to have my the on set date changed to oct 2014,what do you think my chance would be? i have a letter from my dr.that treated for 20 yrs ,that i did not have when i applied in oct 2016 the records of his treating me had been destroyed,the letter will show that i was being treated for these conditions early in life that effected my ability to earn a living as an adult,i have not sent the reconsideration letter yet,i wanted to ask your advice,can you help me? You certainly have the right to appeal the decision regarding the established onset date. New medical evidence such as the doctor’s letter you mentioned may be a good reason to appeal. However, you should be aware that when you appeal the onset date, Social Security can review your whole case, and they could decide you are not disabled. If possible you should consult with an attorney in your area. I know I already mentioned the NOSSCR referral line at 1-800-431-2804 to you, but you may also be able to find a Legal Aid organization in your area that can offer you some free assistance with this issue. As I understand your situation, you could appeal the issue of the onset date, and one of three things could happen: (1) SSA decides in your favor and you have an earlier established onset date, so more back pay, and your retirement amount would ultimately be not reduced by as much; (2) SSA decides against you on the onset date issue, so their current decision stands and nothing changes; or (3) SSA could review your whole case and decide you are not disabled at all. I would say this third outcome is unlikely, but I have to mention it because it is possible. I can’t say how likely or unlikely it is because I don’t know the details of your case. In that third outcome, you would continue with your early retirement benefits, and any back pay and increase because of your disability would be considered an overpayment, which SSA would want you to pay back, perhaps by taking a small percentage out of your check each month.